It’s all this and MUCH MORE!! CALL NOW, operators are standing by!! /6 months and it will be in Big Lots like all other “As Seen on TV” crap. It’s a sinister looking device. I bet it has a battery behind it, and wires. 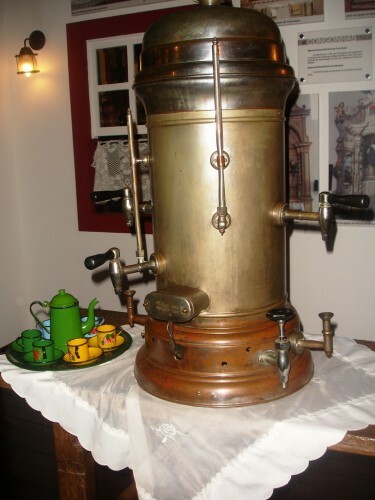 That’s probably a samovar, not a coffee maker. It looks likes a fire plug, ready to put out a nap-fire. oh god how many posts till I can get a avatar. I’ll take a double expresso. In Soviet Russia, tea makes YOU! I lol’d. Then I realised it didn’t say IUD.